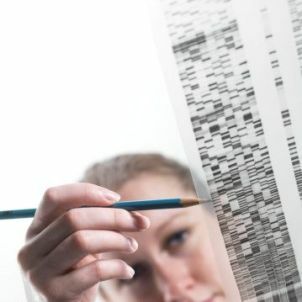 You may be wondering why some women are thinking about DNA testing. This is the most accurate way to find out who the father of a child is. Usually women use it in case they had several sexual partners and they would like to know which one of them is the father of their child. There are two main types of tests: prenatal and postnatal. Postnatal means that the test is performed after the baby is born and in this case you have the possibility to choose from blood testing and collection, buccal swab testing and collection, and the collection and testing of the umbilical cord. On the other hand, if you prefer a prenatal DNA test, you could opt for amniocentesis. This is a test that is done in the second trimester, during weeks 14 and 20. As part of the procedure, the doctor inserts a thin needle into the uterus that is guided by ultrasound. Using the needle, the DNA testing is done through removing a bit of amniotic fluid that is sent for testing. There are some risks associated with the procedure, such as injuring the baby or causing a miscarriage. Other side effects involve leaking amniotic fluid, cramping and some vaginal bleeding. Another option that you have regarding testing DNA is chorionic villus sampling. Similarly to the previous case, there is a thin tube or needle inserted into the uterus that is guided by an ultrasound with the purpose of obtaining a chorionic villi. These are small piece of tissue that is attached to the wall of the uterus. This kind of DNA test is efficient because the villi and the fetus have the same genetic makeup since they come from the same egg. The good thing about the test is that it can be done at an earlier stage, during weeks 10-13. For a procedure of this kind, you will need the agreement of your doctor. When to have the DNA testing? As it has been mentioned before, the earliest time to have the procedure is during the first trimester, starting with the 10th week in case you prefer prenatal testing. If you go for the postnatal tests, they can be done right after the birth of the baby and in this case there are no associated risks. Those laboratories that are testing DNA have a confidentiality policy. Nonetheless you should ask the laboratory you are working with regarding the policy that they have, just to make sure that nobody else will have access to the results besides you. As it has been mentioned before regarding DNA test, if this is performed after the birth of the baby, there are no risks associated. Nonetheless if the test is performed before the birth of the baby, there could be come unwanted complications regardless of the test used. Some of the risks of DNA testing before birth have been mentioned before and we also have to add that the majority of the doctors disagree with prenatal testing simply because there is a chance that the testing will lead to a miscarriage and in this case it is just not worth it. The cost of testing DNA depends on the kind of procedure that you would like to have. The prices range between $400 and $2,000. Usually the prenatal tests are more expensive than the postnatal ones because of the doctor fees and hospital fees. You could have a curiosity DNA testing that is less expensive but isn’t approved by court.